Page Rank is already dead. Google has not updated it in several years; therefore, it is no longer displayed in our system. However, it continues to operate as always. Due to its irrelevance, we have developed our own evaluating system – SB Rank. As it was created when PR existed, we could compare it with Google PR. We found that in 90% of cases SB Rank matches with PageRank, so it can be considered a full replacement for Google PR. Moreover, it is impossible to cheat SB Rank as it was possible with PageRank. In the future, we are also planning on complicating the SB Rank formula, adding more indexes, such as Majestic Flow, so our customers can select the most relevant pages for backlinks more easily. What do you get selecting pages by SB Rank? What is the benefit of SB Rank? Named after ScanBacklinks, free backlink checker tool and SEO software, SB Rank is based on DA and PA indexes of the page. Purchasing the backlinks, you have to know the page value. When selecting sites by SB Rank, you can focus on one indicator, instead of concentrating on two – DA & PA. Thus, you will save a lot of time, having backlinks from pages with actual value. How is SB Rank calculated? SB Rank=(PA+DA/5)/10 – for domains that are not included in Alexa Top 100. However, SB Rank equals PA of the page if it is in Alexa Top 100. Why is DA divided by 5? 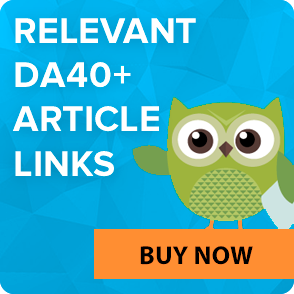 Sites that have a significantly high DA index can distort the real page value. For example, BlogSpot domain has DA100, but it can have pages with no real value as they are empty or filled with low-quality content. To calculate the right SB Rank of the page, we take only 20% of the Domain Authority and divide it by 5. There is a page with PA50 and DA80. Here is what we get using our formula: 50+80/5 = 66. Then, we divide it by 10 (to get number from 0 to 10) and get 6,6. We round the received number to 7. This is the SB Rank of the page. If we, for example, got 6,4 or less, we would round it to 6. In case it is 6,5 or more, we round it to 7. What if you already have a link building campaign with backlinks selected by PR? If you use SEO Expert Tool, you probably already have a link building campaign with purchased links, which were selected according to the PR indicator. In that case, the links remain the same, but the PR index will be changed to SB Rank index. Sometimes SB Rank may differ from PageRank. As a rule, the difference is tiny. For instance, pages with PR 1 may become SB Rank 0 and vice versa. Then, the price will also be changed accordingly. 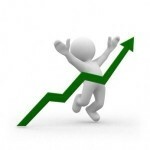 Nevertheless, selected backlinks will be purchased according to the price range that you have set.